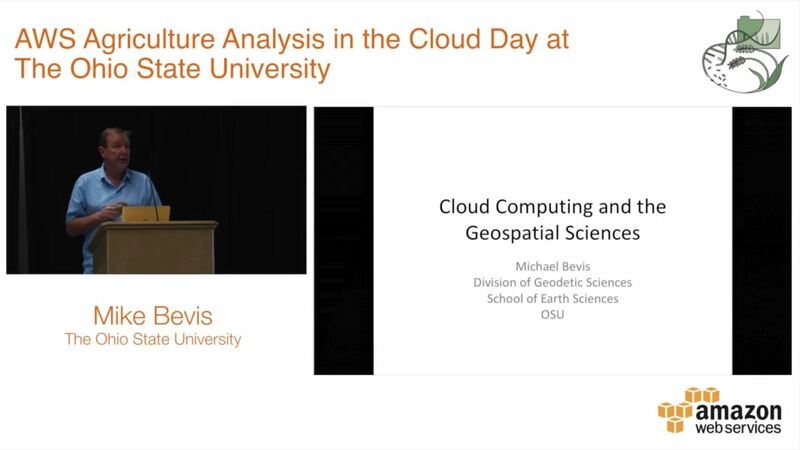 Build planetary-scale applications in the cloud with open geospatial data. 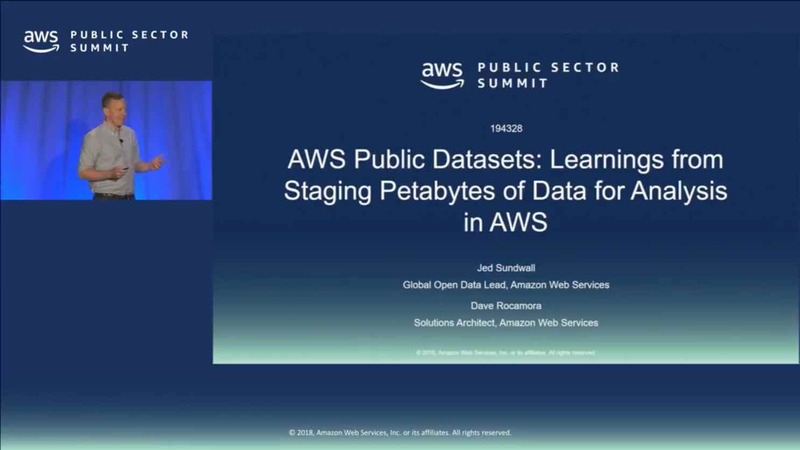 The Registry of Open Data on AWS helps you discover and share datasets that are available via AWS resources. You can find datasets from many different domains, and we have tagged them to make it easy to explore datasets suitable for geospatial workloads. Below you will find both videos and articles explaining how Earth Observation data on AWS can be used in your startup, enterprise, or research institution. OpenStreetMap (OSM) is a free, editable map of the world containing billions of features, created and maintained by volunteers and available for use under an open license. 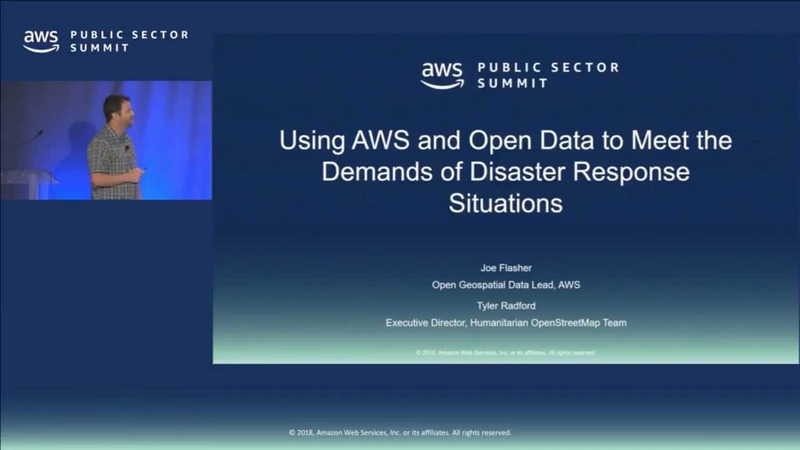 This post explains how anyone can use Amazon Athena to quickly query publicly available OSM data stored in Amazon S3 as an AWS Public Dataset. Air pollution in cities can be an acute problem leading to damaging effects on people, animals, plants and property. 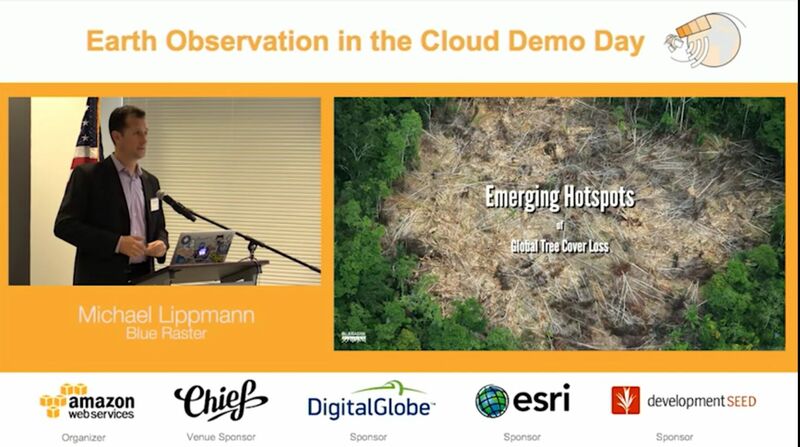 This tutorial looks into air quality data by using Amazon SageMaker, a fully-managed platform that enables developers and data scientists to quickly and easily build, train, and deploy machine learning models at any scale. 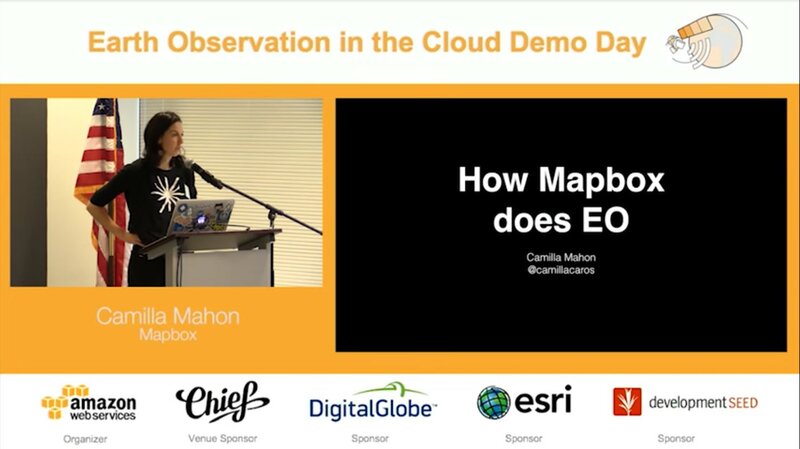 Mapzen gathered elevation data from various public sources and is making it easy for startups, enterprises, and research institutions to access and use via Amazon S3. These digital elevation models (DEMs) provide a powerful way to examine the elevation of the Earth’s surface. You can read a Q&A we conducted with Mapzen about this dataset. Managing water crises is one of the United Nations’ Sustainable Development Goals and the decline in the available quality and quantity of fresh water is a serious societal risk. 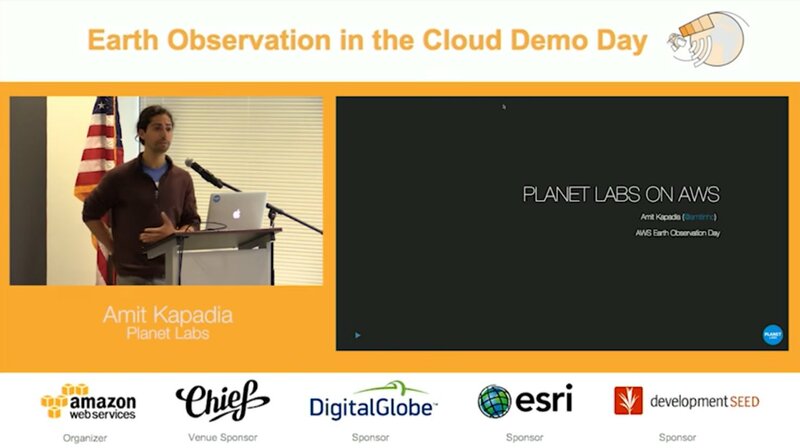 Using satellite imagery available through the AWS Open Data Program and the AWS Cloud, BlueDot Observatory is establishing a global monitoring system for all at-risk water bodies. 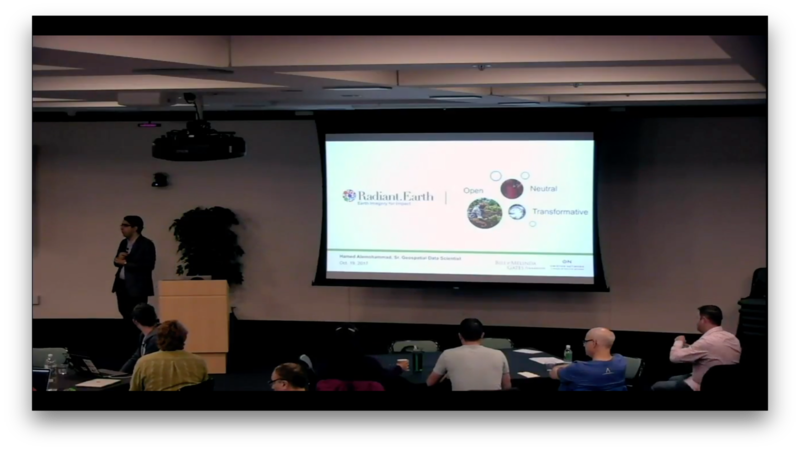 DigitalGlobe worked to find passionate participants who can leverage DigitalGlobe’s GBDX platform and imagery for geospatial projects supporting work in areas such as disaster response, food security, poverty elimination, and ending malaria. An exploration of how the University of Oklahoma uses NEXRAD data on AWS to study migrating flocks of birds. 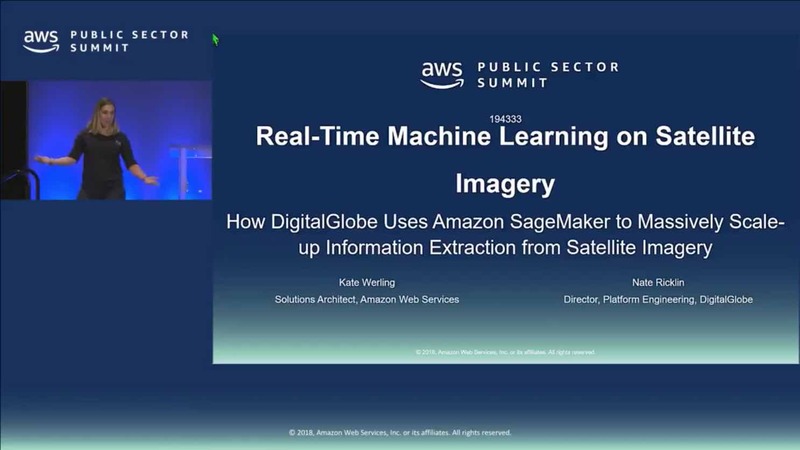 How DigitalGlobe uses Amazon SageMaker to handle machine learning at scale and provide on-demand access to its data. 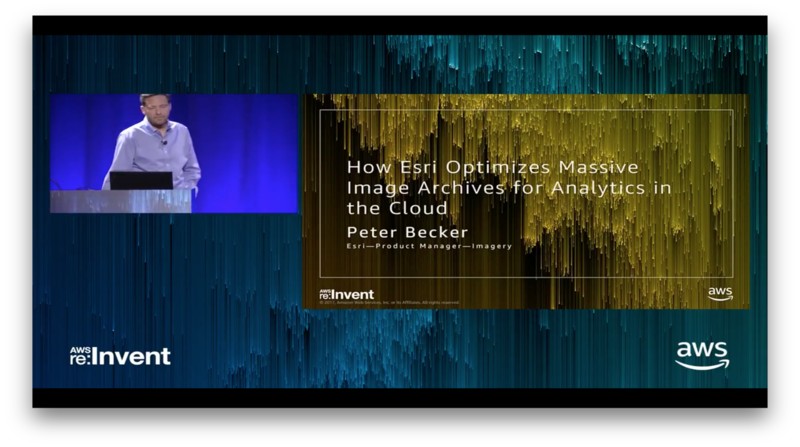 This post describes how data from CBERS-4 that is stored on AWS implements its satellite imagery archive. The archive consists of imagery with a revisit cycle that ranges from five to 52 days. The architecture in this post can be generalized to similar, constantly updating data sources with the need for continuous metadata generation. The architecture is designed to consume services provided by CBERS on AWS. 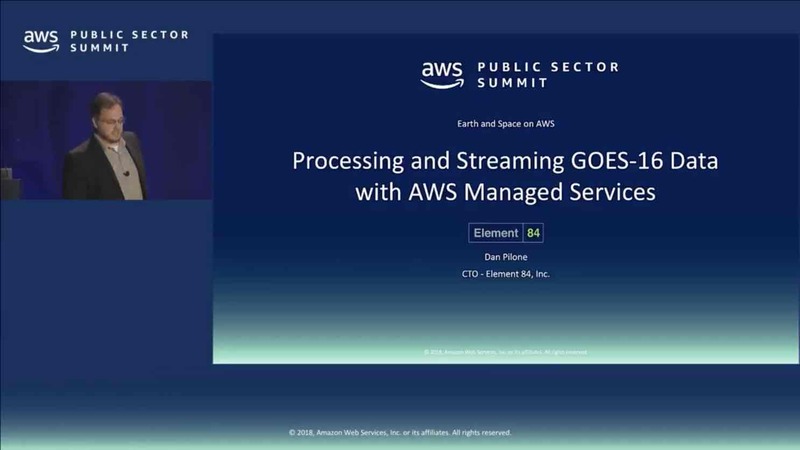 This tutorial provides a step-by-step demonstration of how Amazon Web Services (AWS) services improve access to this data for climate change research. Data scientists and engineers previously had to access hundreds of nodes on high-performance computers to query this data. 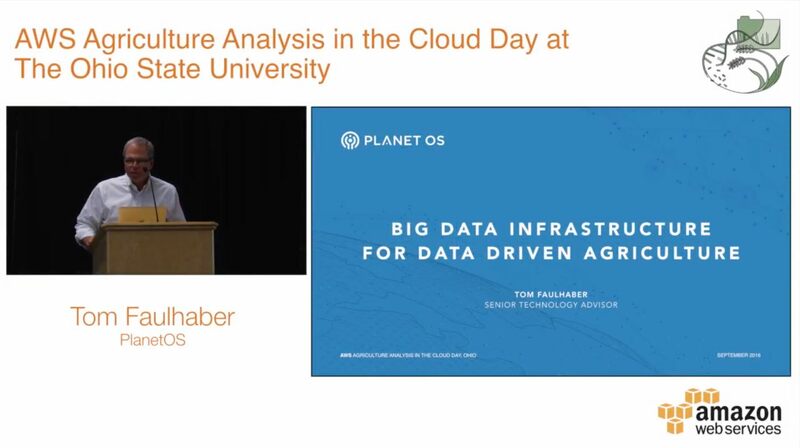 Now they can get the same data by using a few steps on AWS. 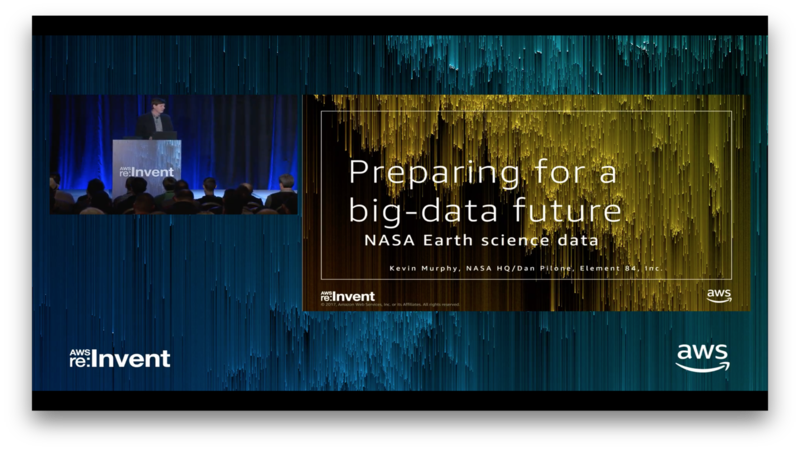 AWS Cloud Credits for Research are available for anyone to conduct research using Earth Observation data on AWS. Students, educators, and researchers are key drivers of technological innovation and we want to support new advances in the field. AWS Marketplace has dozens of geospatial, GIS and location-based applications that can benefit your routing, planning, predictive modeling and mapping to deliver richer and more meaningful solutions. 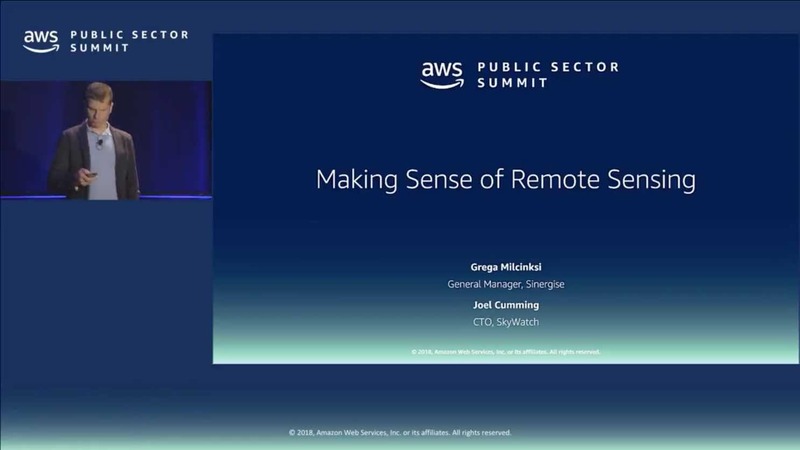 Easily launch intelligent location and mapping solutions into your AWS account and start understanding the world around you in a new way.